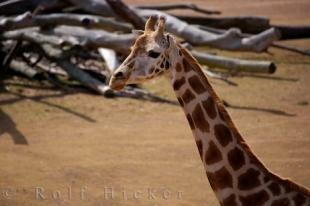 Photo gallery for Garaffa camelopardalis, the scientific name for the African Giraffe. A Giraffe strolls through its habitat in the Pridelands at Auckland Zoo in New Zealand. 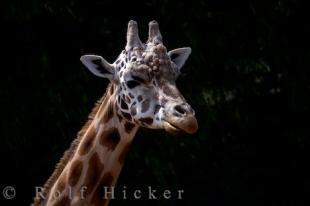 A giraffe poses for his portrait in the Pridelands area of the Auckland Zoo on the North Island of New Zealand.